A sunny Sunday morning in mid Autumn. Bright Blue skies, a warm 23 degrees day. Perfect cycling weather with smells of fragrant husky pines and fresh Rosemary resplendent with tiny liliac flowers. Busy traffic was a pain in the bum, but didn’t stop the exhilarating beauty of this dramatic coastal ride. 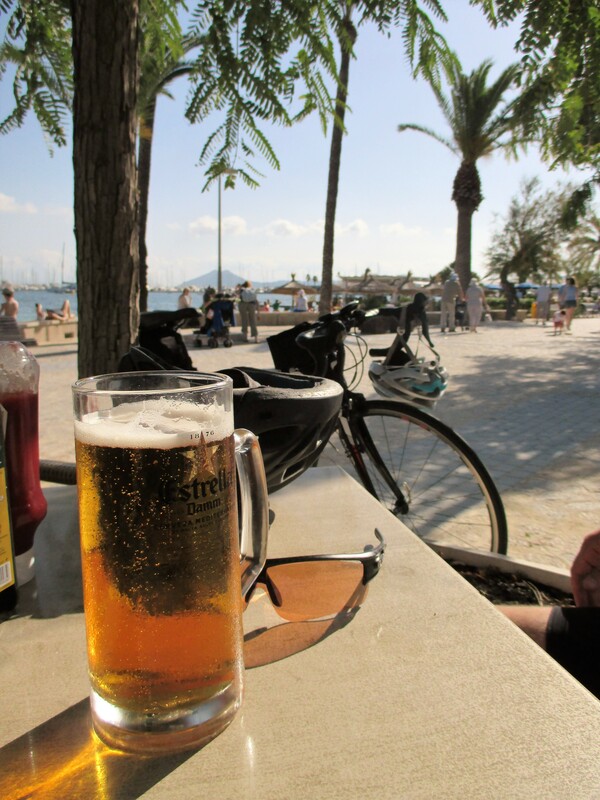 Plenty of cyclists and even some sunshine skiers made their way up the first part of the ride from the pretty port. Steady percentage of around 6 to 7 percent, I would guess, got the legs working and the heat beating. 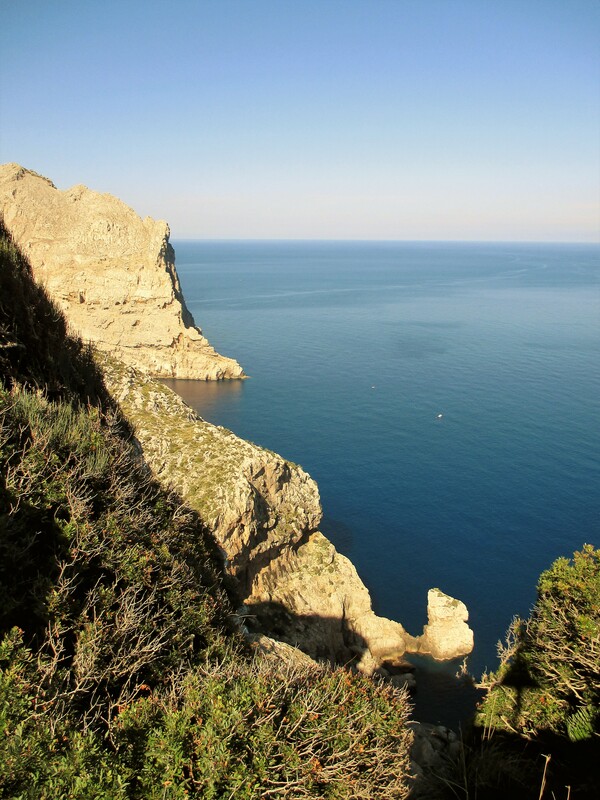 A dramatic scene of cliffs tumbling steeply, into the waiting azore blue sea demanded a photo stop on the first summit. 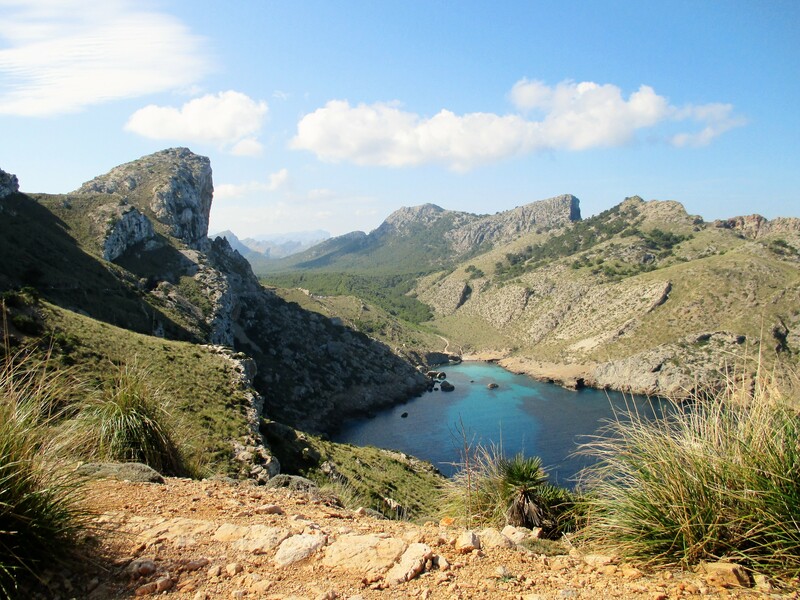 Freewheel down through the pines to the exclusive resort for the rich to Formentor. Back to pedalling, passing sheep and goats shading under the Olive trees, casting wonderful shadows that pleased the artist eye. 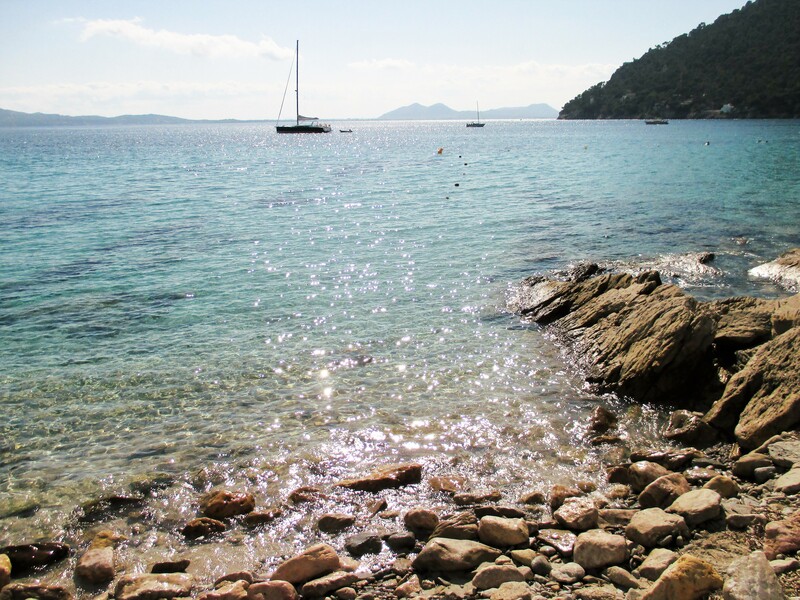 Around the cliff tops and back into view, a vast ocean empty except for a yacht enjoying the day. The lighthouse is spotted at the end of the peninsula. An undulating road of such beauty beckons the cyclist with a mountainous finish worthy of ventoux. Just a shame the Sunday traffic is queuing to park. Back the way we came, I forgot to mention the dark short tunnel, that I hate!!!!! 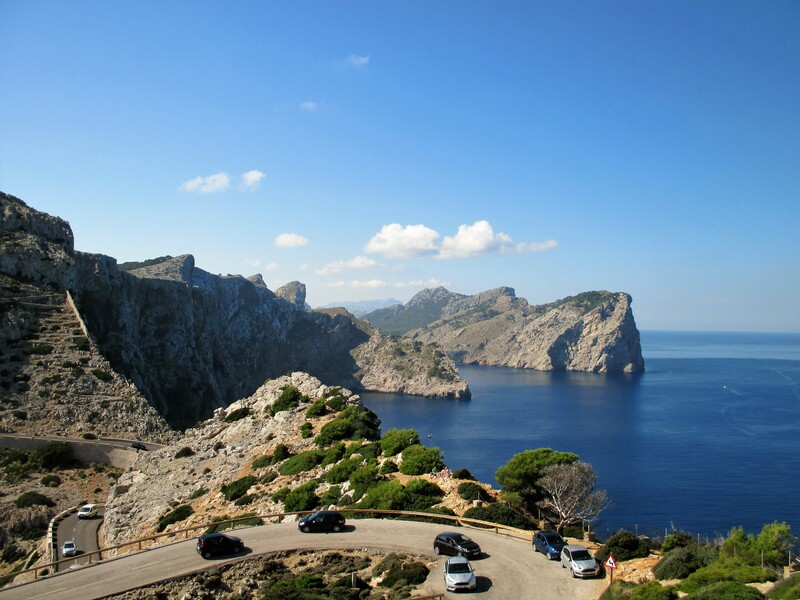 But a super super ride to appreciate the beat of Formentor. 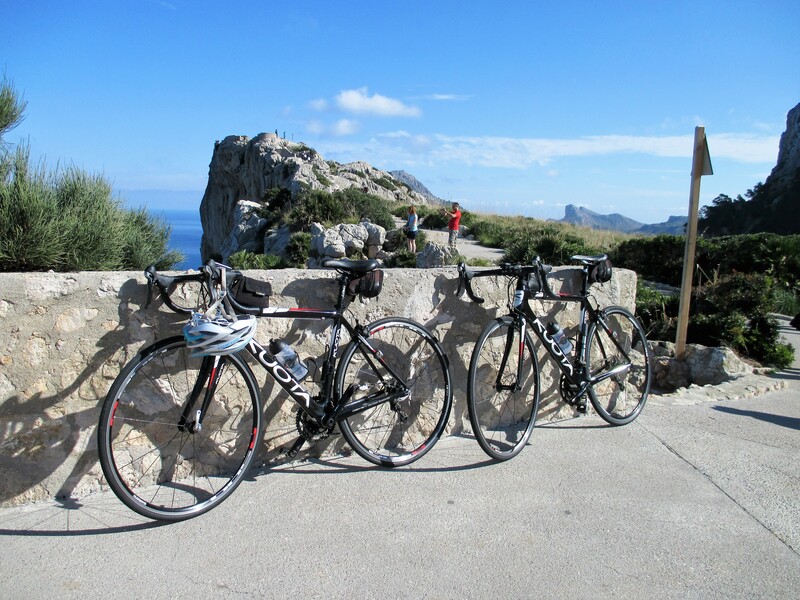 Image | This entry was posted in Spain and tagged Formentor, Majorca cycling, Porto pollenca cycling. Bookmark the permalink.